Listen….can you hear it….The universe is calling out. One factor that I am loving with Scott Synder’s run on Justice League is how massive this story is. Now that isn’t always felt every single issue, but it’s a constant shadowing harrowing over the horizon. 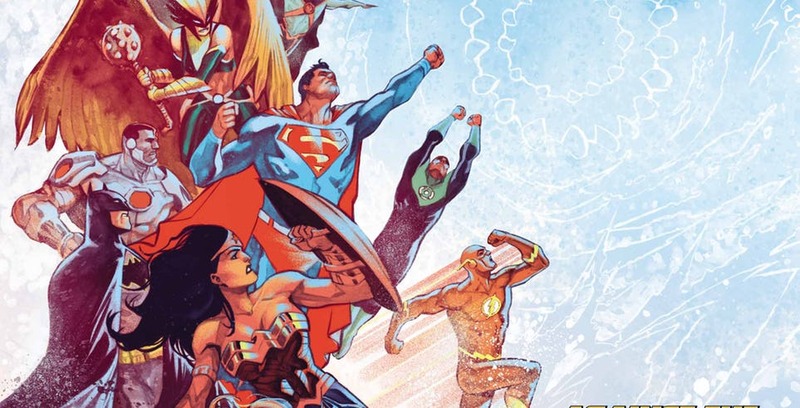 It’s catering to the best aspects of not only the Justice League, but the entire DCU. 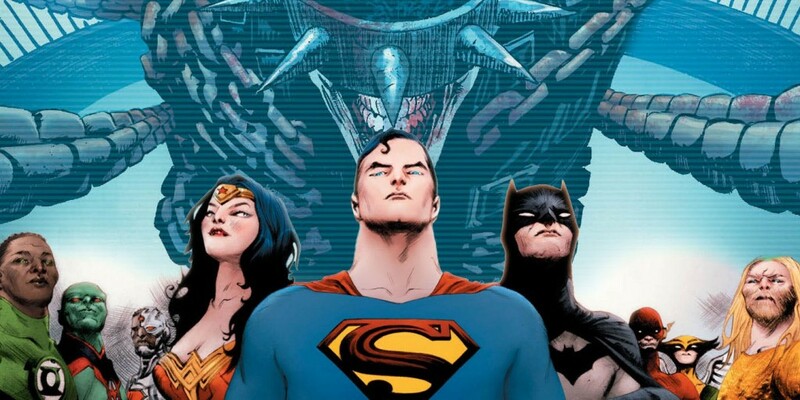 Synder doesn’t want to tell a mundane JL stories, Synder wants to make you expand your universe. Warning the following review will contain spoilers. You have been warned. NEW YEAR NEW GREEN LANTERN COMICS! 2018 was a great year to be a fan of the Green Lantern Corps. Yes they’re were some endings but all good things must come to and end. 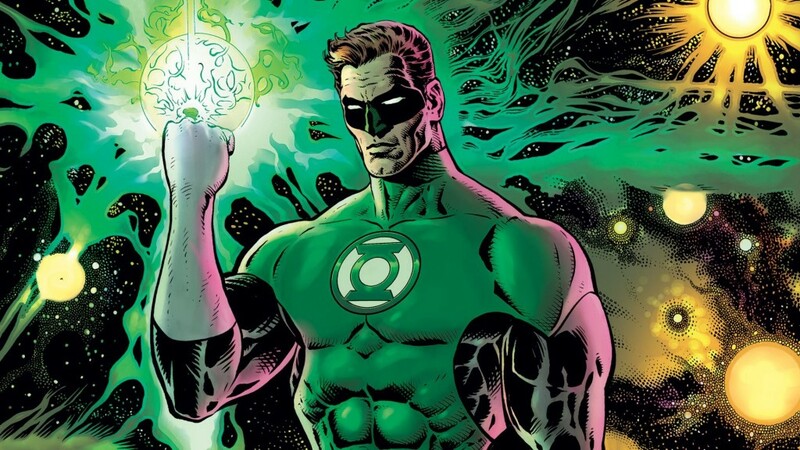 Thankfully the end of 2018 promised Green Lantern fans a bold new direction for Hal Jordan with Grant Morrison and Liam Sharp. 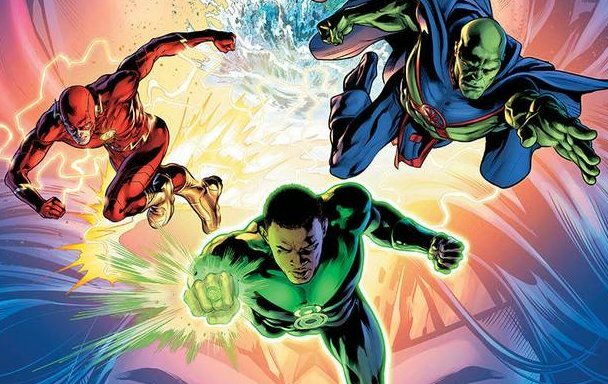 Even though we only readers had two issues of this new run before 2018 ended, it’s pretty easily to tell that 2019 is going to a mind exploding trip for Green Lantern fans. Warning the following review will contain spoilers. You have been warned. Twas the day after Christmas, and the DCU was stirring. Because when I think of the holidays, I want to dive deep into the trauma’s of my favorite heroes. 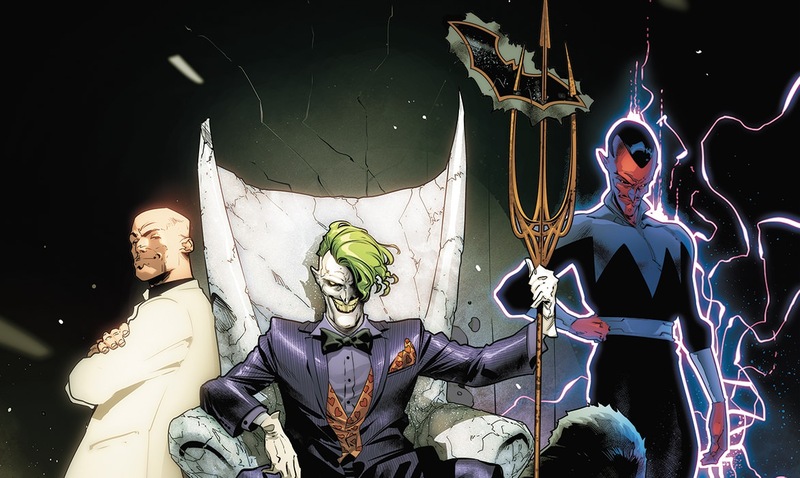 Now that we know the identity of who attacked and committed the murders at Sanctuary, Heroes In Crisis is a interesting state. While I’ve had problems with certain narrative choices that Tom King has made, it can be argued of how compelling he’s making this story. So put away your Christmas gifts, it’s time to stuff your stocking with some good ole tragedy. The’re will be spoilers, you’ve been warned. The insanity of the Justice League continues, but this time we take to the skies and search for answers on Thanagar. Home to Hawkman and Hawkgirl. What could possibly go wrong? Remember to read your comic before reading this review. You have been warned. After a stellar debut issue, it’s extremely difficult for anyone’s expectations to anything but high. Having read Morrison’s work for twelve years now, I’m all to familiar with his style and his tendency to go off the rails a bit to quick before readers can get a firm grasp of the story. Well whatever madness Grant has in store for readers, at least Liam Sharp pencils and Steve Oliff’s colors will make said madness look stellar. As always remember to read your comic before reading this review. There will be spoilers ahead, you have been warned. The controversial series continues on. I honestly can’t remember the last time a book published by DC comics has drawn this much heat. While still enjoying the story that both King and Mann are attempting to tell, to say it’s been without flaws would be a bit of a understatement. After all nothing is perfect. What’s the most interesting aspect is that this one of the two “extra” issues will bring to the overall narrative for Heroes In Crisis. Warning the review will contain spoilers, so read your comic before reading this review. You have been warned. YOU BECOME A FREAKY FISHMAN! YOU BECOME A FREAKY FISHMAN! EVERYONE BECOMES A FREAKY FISHMAN! Also the Legion of Doom takes center stage. Warning the following review will contain spoilers. So remember to read your comic before reading this review. You have been warned. EVERYTHING IS UNDERWATER! GIANT MONSTERS! AQUAMAN IS MISSING?!!? CATS AND DOGS LIVING TOGETHER! BATMAN HAVING A PET STARRO!?!? What more craziness can Scott Synder fit into this insane epic? Knowing Scott Snyder, it’s going to get a lot worse before it gets better. Warning the following review will contain spoilers, so remember to read your comic before reading this review. You have been warned. It’s time for a bold new era for Hal Jordan. 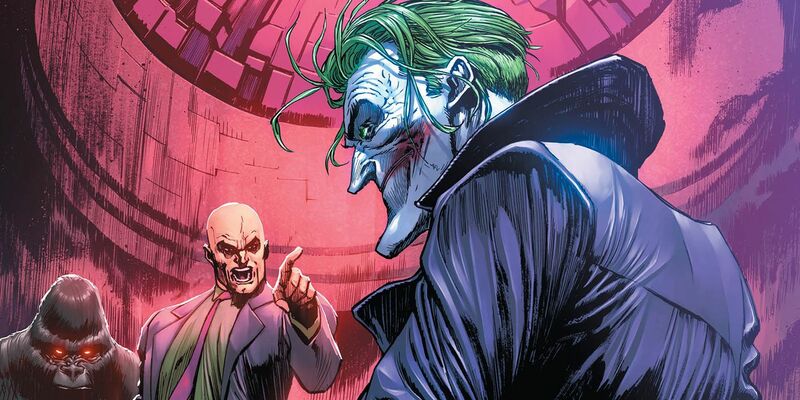 One of comics greatest (and polarizing) writers takes on one of DC’s iconic characters, along with a artist who is on the verge of being a superstar. 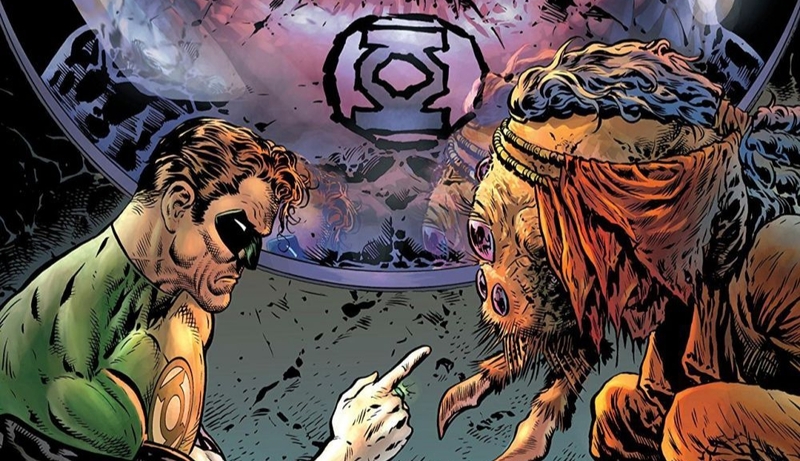 What crazy adventures will The Greatest Green Lantern undertake? Warning the following review will contain spoilers, so remember to read your comic before reading this review. You have been warned.